Getting ready for Halloween? 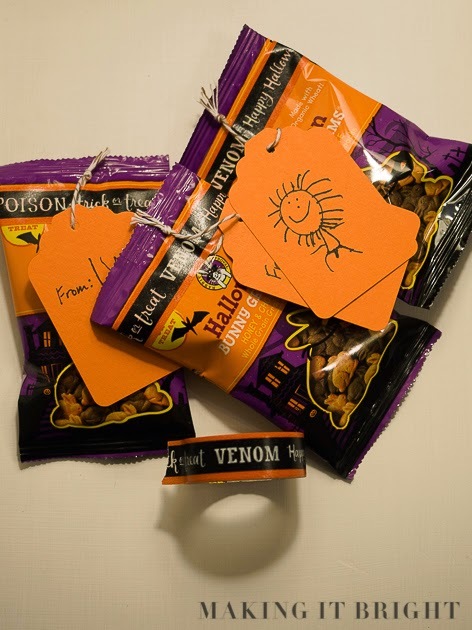 Some good Trick-or-Treat fun? My kids cannot wait this year. The little man just keeps talking about his "pumpkin bucket" and getting candy from our neighbors. I'll post about our little pirate and pink cat (her idea) next week. 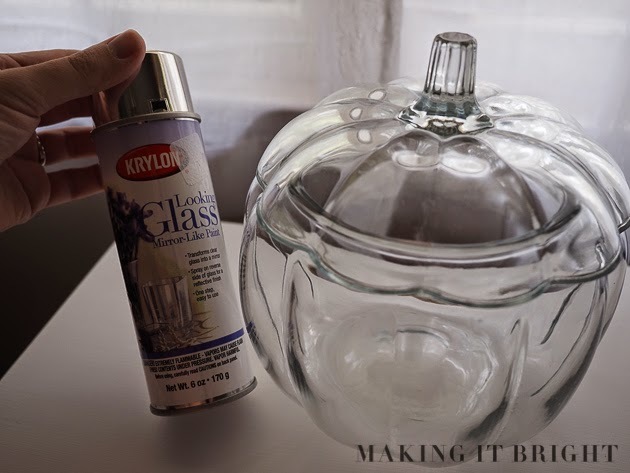 Today I'm serving up some Halloween DIY projects. 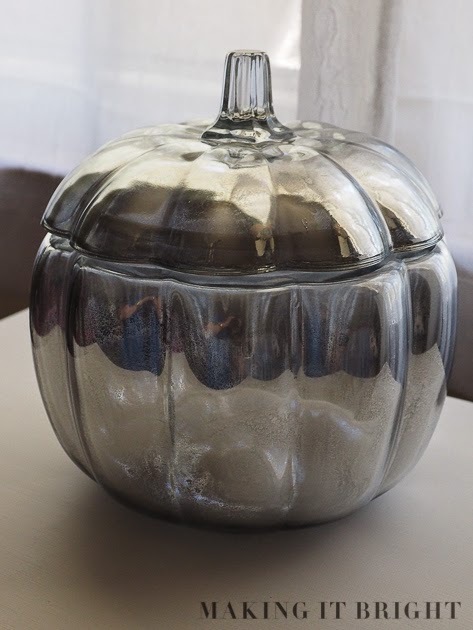 Who doesn't have one of these clear glass pumpkins? My grandmother gave me this one years ago. And I found this Looking Glass paint from Krylon on clearance at Meijer a few weeks ago. Following the directions on the can, I sprayed the inside of the pumpkin. It won't be safe for treats anymore, but that's okay. I'm not in love. Actually, I don't like it at all. It looks as I thought it would and I'm just not thrilled with it. DIY FAIL. I think I'll try painting the outside white or cream, to make it look like a ceramic pumpkin. And here are our simple treats for school. I found these Annie's Bunny Grahams at Kroger the other day and snagged them as a non-candy option. I found the tape at Target and used my tag punch and baker's twine to make the tags (like I did for the favors at the Finding Nemo party). My daughter decided to decorate each one with spiders or pumpkins or ghosts. She loves to draw! Why make it complicated?